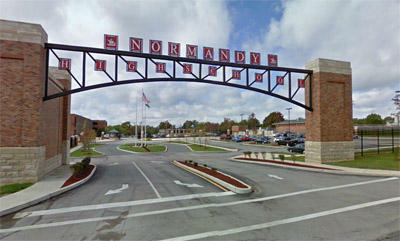 JEFFERSON CITY – One year after the Missouri state Board of Education dissolved the old Normandy School District and put an appointed board in place to run the new Normandy, state board members say a credibility gap still exists between Normandy residents and state education officials. 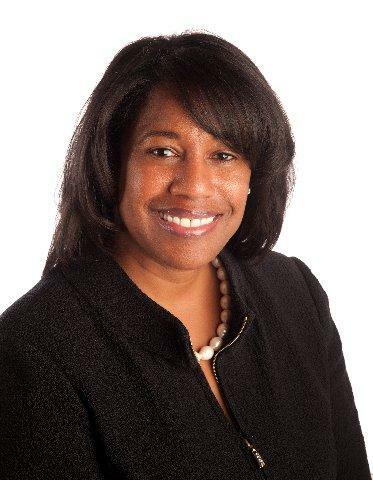 And that gap could grow, with the announcement Tuesday that the president of the appointed Joint Executive Governing Board, Andrea Terhune, is resigning for personal reasons. She is leaving the board as of July 6, education Commissioner Margie Vandeven told state board members. 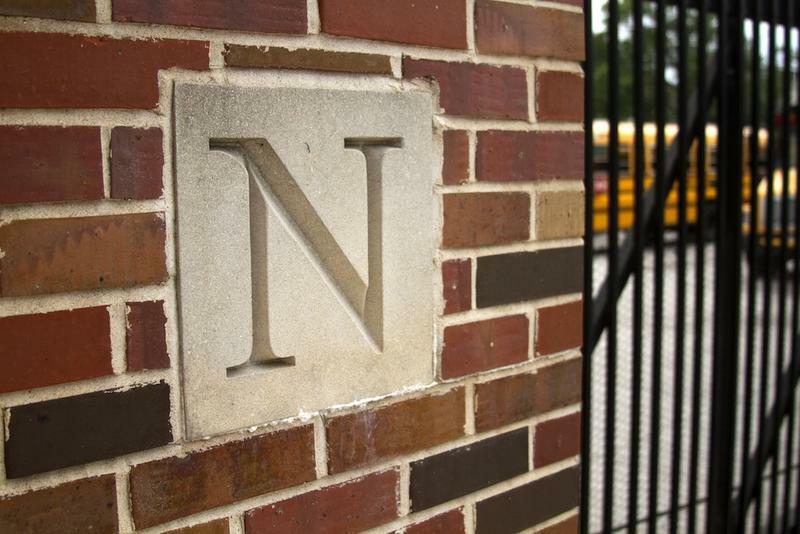 Updated at 8:30 p.m., June 11: Encouraged by a projected balance of at least 7 percent of the total budget at the end of this school year, Normandy school officials say they will have enough money to operate for the entire school year that begins in August. 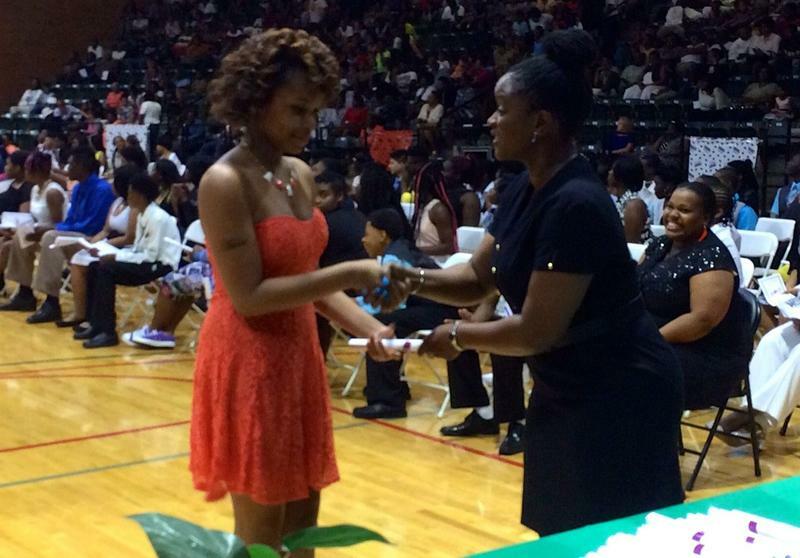 The promotion ceremony for 205 eighth graders at Normandy Middle School featured the usual words of encouragement and advice, plus memories of the past three years and more than a few hoots and hollers from family supporters. But first, they got an apology. Mike Jones, vice president of the Missouri state board of education, told the students that he realized the efforts by education officials in Jefferson City to help Normandy haven’t always succeeded. 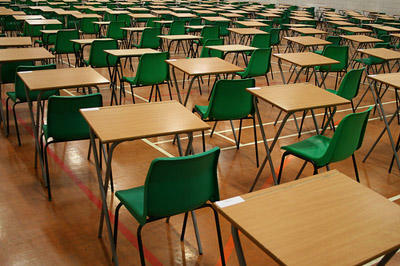 The district remains unaccredited and is finishing up its first year being run by a state-appointed board. 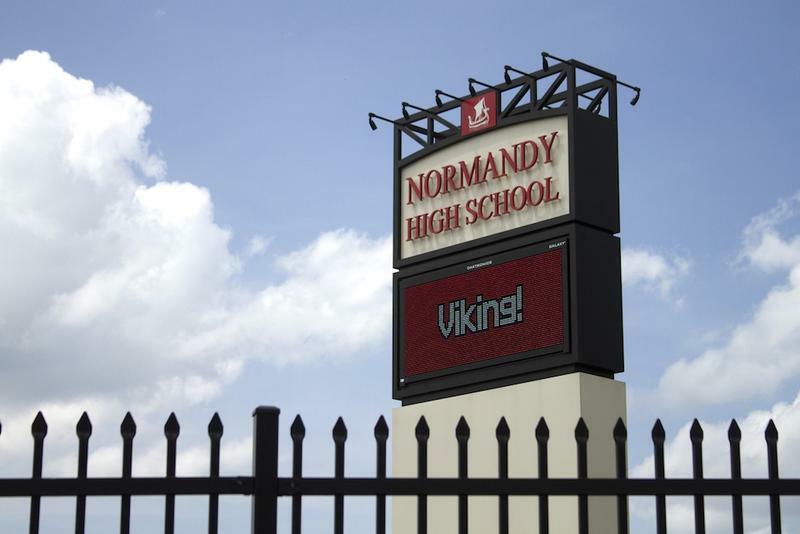 In their continuing struggle to raise test scores and regain accreditation, leaders of the Normandy school district have stressed a positive message: high expectations, strict standards, no excuses. But students at the often-troubled Normandy Middle School have learned a different lesson. 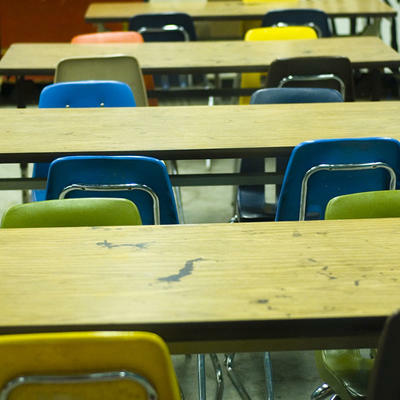 JEFFERSON CITY - Missouri’s education commissioner said she is optimistic that Normandy schools will have enough money to remain open for the coming school year, but the final recommendation will come from the district’s appointed governing board. After conducting a nationwide search, the Normandy school district announced Thursday night that it was naming interim superintendent Charles Pearson to the position permanently, effective immediately. To improve student achievement, the interim superintendent of the Normandy school district wants to move sixth graders to the elementary school, concentrate on “career exploration” at the smaller middle school and possibly reopen a closed school as a kindergarten center. 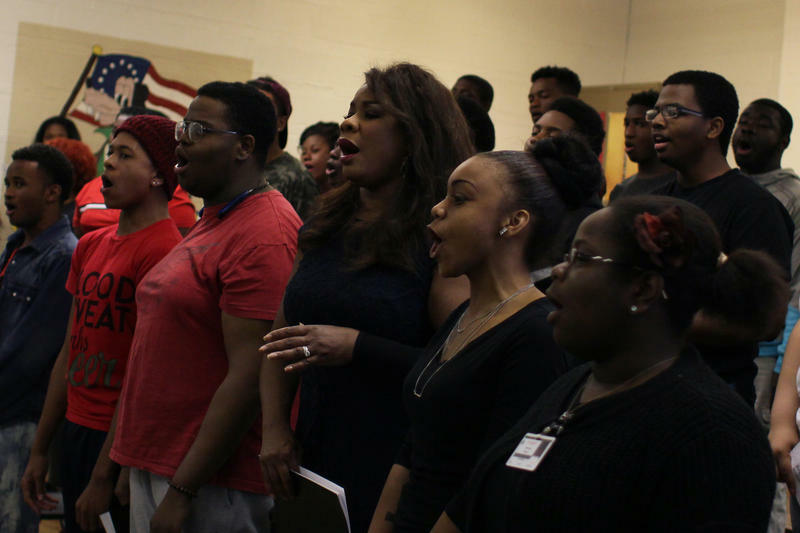 World-renowned opera singer Denyce Graves entered the choir room at Normandy High School Friday morning with a bright and forceful “Good morning, everybody!” She was met by resounding applause and a collective “whoo!” of excitement from the choirs of Normandy and also Central Visual and Performing Arts High School. Updated 9:20 a.m., Thurs., May 7 with comments from Education Plus -- Even though it doesn’t make changes in student transfers that could save Normandy from bankruptcy, several education groups urged Gov. Jay Nixon Wednesday to sign the school bill approved by the Missouri legislature because it expands options for students in failing schools. This week lawmakers put a bill on Missouri Gov. Jay Nixon’s desk that’s supposed to fix the state’s student transfer law that doesn't include a hard cap on how much receiving districts can charge. A lack of a tuition cap has rekindled concerns that the cost of student transfers will bankrupt the Normandy school district. And for the Chaney family, who St. Louis Public Radio profiled back in May of last year, it’s just the latest twist in what’s been a roller coaster ride. For the second year in a row, Missouri lawmakers have sent a proposed fix to the state's student transfer law to Gov. Jay Nixon. Is Normandy’s end a question of whether or when? As problems with student learning persist in the Normandy school district, and lawmakers in Jefferson City appear to oppose a cap on tuition paid for student transfers, the vice president of the Missouri state board of education said the end of the district could be close. From Jefferson City to Normandy, educators are ready to tackle a math problem that is far from theoretical. If you multiply the number of students who want to transfer out of Normandy in the coming school year by the average tuition that the district will have to pay, will the costs be so big that the district cannot survive? Missouri state school officials called a public hearing Thursday night to hear opinions on how the Normandy school district could improve. Instead, for more than an hour they heard 18 speakers criticize how the state has failed to support the district since appointing a board to run it last year and predict that the schools are doomed to close. 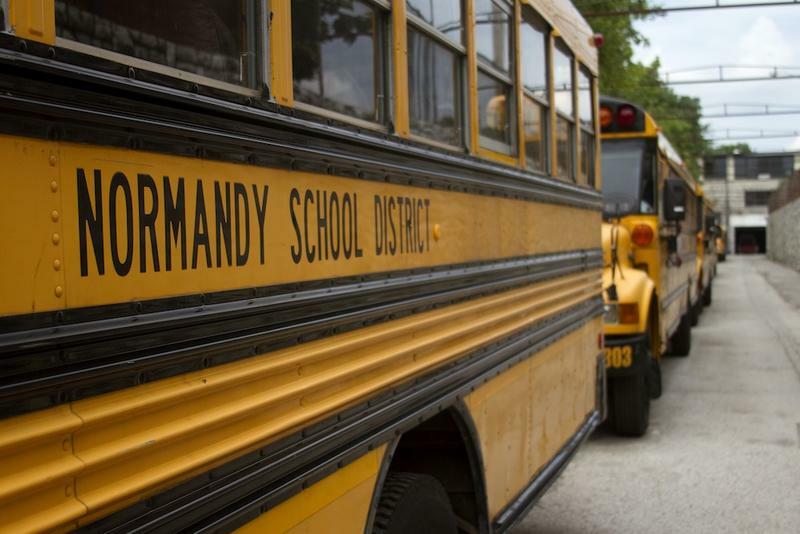 Normandy school officials say 637 students have signed up to transfer to other districts in the coming school year, far more than the number that officials have said could spell serious financial trouble for the district. 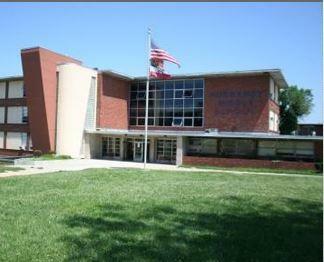 JEFFERSON CITY -- Going along with a recent court decision, the Missouri state board of education voted Tuesday to classify the Normandy Schools Collaborative as unaccredited, but it also praised progress the troubled district has made toward greater academic achievement. Editor's note: HB 42 in its current form has been amended to reduce tuition using a formula instead of capping it at 70 percent of the receiving district's tuition. On March 18, the Senate Education Committee approved the bill for consideration by the full Senate. 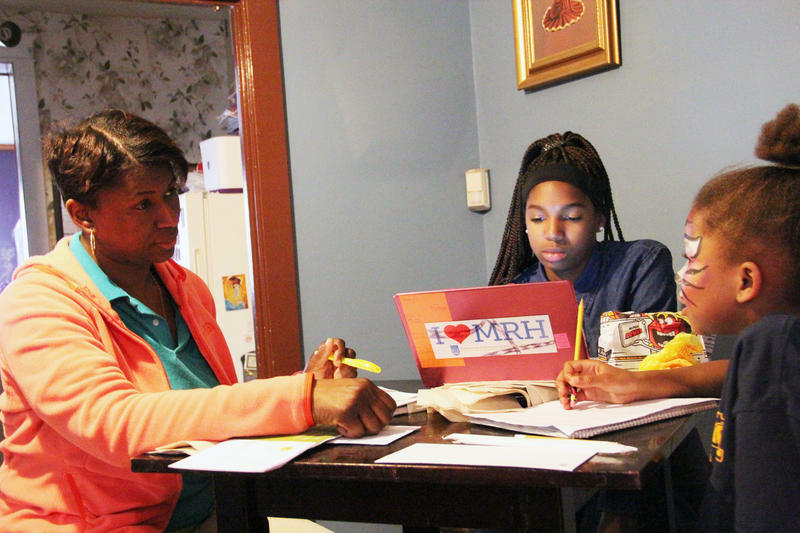 With looming budget concerns and student transfer bills on the fast-track to becoming law, St. Louis nonprofit Beyond Housing held a call to action for Normandy schools on Saturday. 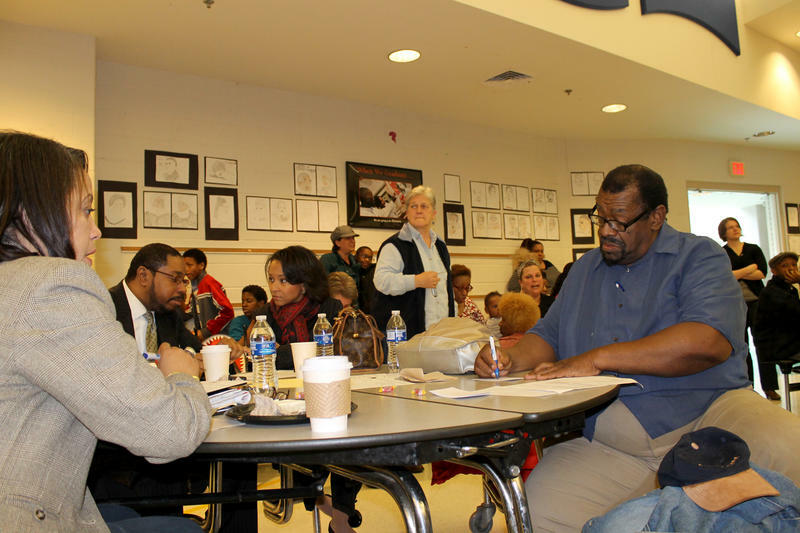 The last time the board that oversees the Normandy Schools Collaborative held an open forum, Charles Pearson asked the crowd whether this year was going better than last – and was met with an overwhelmingly negative response. 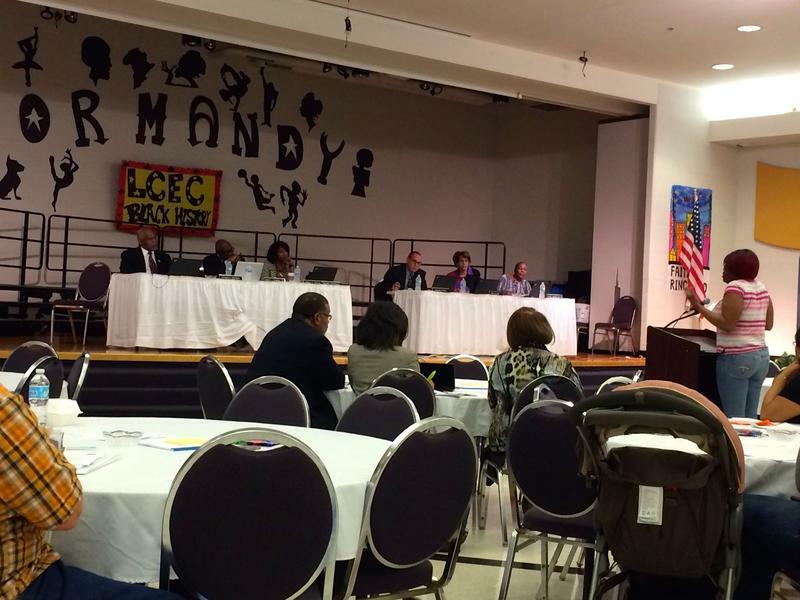 Normandy asks: What should a new superintendent be able to do? As Normandy schools begin searching for a new superintendent, residents say they want a strong, experienced leader who can steer the district through tough times and stand up to state education officials who are often seen as an enemy, not an ally. To add to the district’s turmoil, the principals of Normandy Middle School and Washington elementary school have submitted their resignations, leaving two more key positions to be filled at a time when many qualified educators already have jobs lined up for the coming school year. Missouri education officials are agreeing with a St. Louis County judge that the Normandy school district should be unaccredited, but that doesn’t mean they accept the judge’s ruling. Circuit Judge Michael Burton ruled in February that an earlier decision by the Missouri state board of education that classified Normandy as accredited was improperly arrived at and that Normandy – which had the worst scores in the state on last year’s annual evaluation – should be unaccredited.